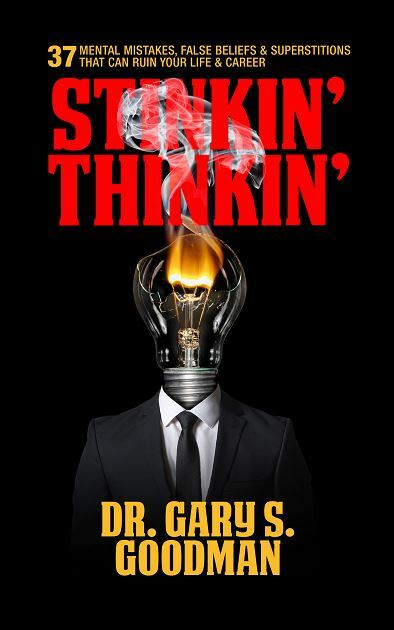 "We are thrilled to be partnering with Gary on this exciting series of his original books that will change your lives and help you achieve the successes that you finally deserve," said G&D Media CEO Gilles Dana. "In each title, Gary will show you how to remove any barriers you need to achieve your goals of health, wealth, clear communications, love, happiness, interpersonal skills, successes, and more." Most people lose friends, happiness, and career opportunities because they employ inadequate thinking skills and allow biases, false beliefs, and superstitions to govern their behavior. Even highly skilled professionals such as physicians and attorneys are not immune from bad thinking and runaway emotions. They can cost their clients fortunes and even their lives through poor advice and misdiagnoses. Stiff Them! 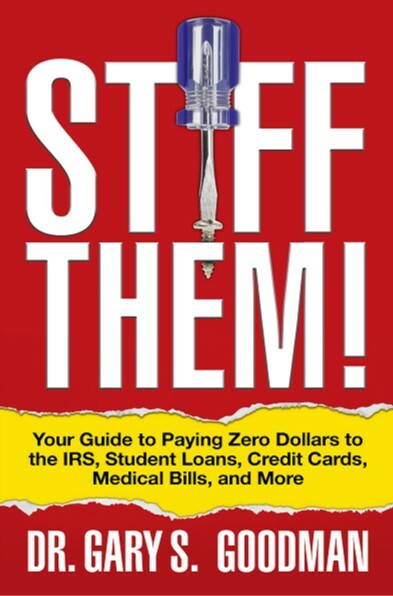 is a practical guide to paying ZERO dollars on your student loans, credit cards, medical debts and other financial obligations. Read it before you make another minimum payment or communicate with any debt collectors. It is your cure for "wrongful spending" and for "wrongful lending!" Burdened by debts that seem impossible to pay off? Struggling to make minimum payments on credit cards? Currently in arrears after borrowing a small fortune to pay for college? Facing the IRS who's hounding you for back taxes that are now bloated with interest and penalties? Paying off mountains of medical debt because your insurance was inadequate or nonexistent? Discover the truth about bankruptcy, and why for many it should be used first, and not last; how it may be the fastest way out of debt and the smoothest way to get new credit. Learn how handling your own tax resolution and debt resolution can save you big money. When you seek professional help, you'll learn to do it smartly. 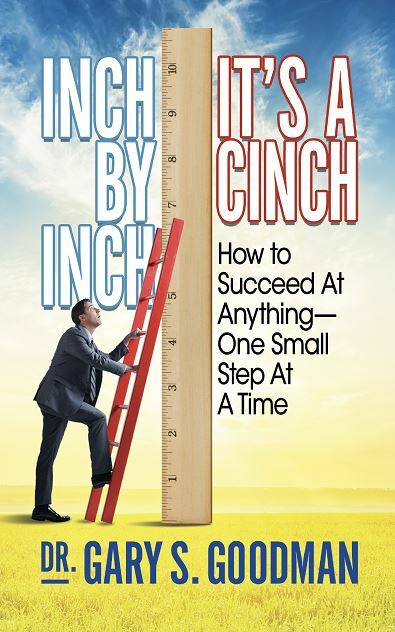 In Inch By Inch It's A Cinch, Gary breaks down the process of achieving anything into manageable strides, whether it is cultivating a new relationship, building a business, or earning a Ph.D. from a prestigious university. Filled with real-life success stories, his own and others, you'll be able to relate to his down-to-earth explanations, fun sense of humor, and instantly usable tips. Gary shows you how to make genuine progress in the most critical areas and achieve the results you want – one easy step at a time! Everybody wants to be a super salesperson – to be incredibly persuasive in their business and personal life. But nobody wants to seem like the sales stereotype: a scammer, carnival barker or pest. In this breakthrough book, Gary shows you how to do the impossible, to sell without selling the conventional, rejection-filled way. 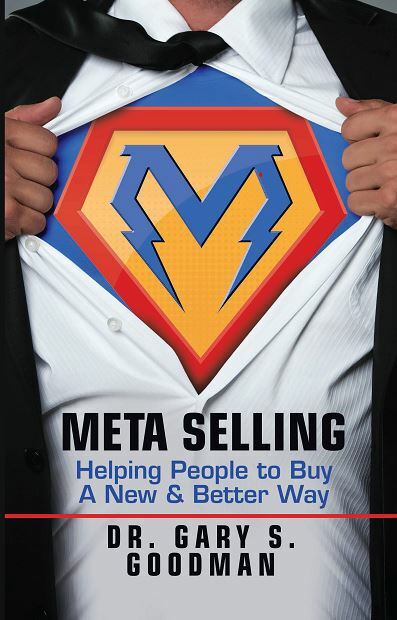 Meta Selling is truly a new and better way to persuade and to prosper, one that will empower you to capably control conversations while earning customers for life. Contrary to popular mythology, entrepreneurship is not spearheaded mostly by baby-faced, technology-savvy post adolescents whose brands include Facebook and Apple. 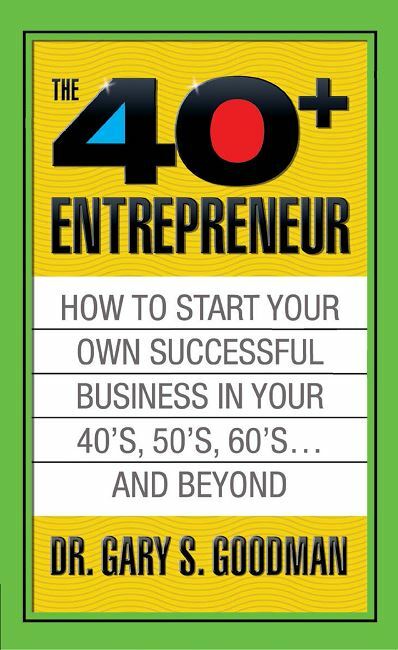 According to a recent study, fully 80 percent of all businesses are started up by people over 35. Supporters are everywhere: Your age cohort is the wealthiest! Now is the time to cash in your wisdom. Busting age myths: "Nobody will work with me at my age! ", "My best years are behind me", "It takes money to make money", and more! MAKE AN IMPACT WITH "CRYSTAL CLEAR COMMUNICATON" that's precise and clear goes far beyond the spoken or written word - it actually changes lives! In this book, you'll find the tools, the techniques, and, just as importantly, the unflinching confidence to influence people decisively - both at work and at home. Use it at work to command attention, to lead your team, to drive your point home. Use it at home to strengthen your marriage, improve your friendships, and simply become a better parent. Become a great communicator and change your life – now! Apply this incredible law to every area of your life. While the law of large numbers has been applied to fields such as math and science for several decades, its power has just recently begun to be applied to the fields of business and personal growth. Today, people from all walks of life are using the law of large numbers to achieve their highest objectives, with great confidence and complete peace of mind. Now, Gary has created a full-scale program showing you how to apply this incredible law to every area of your life. DR. GARY S. GOODMAN is the best-selling author of more than 25 books and audiobooks and is an internationally renowned keynote speaker and Fortune 1000 consultant. Crystal Clear Communication: How to Explain Anything Clearly in Speech or Writing – Coming March 2019! Also coming in Summer 2019 from G&D Media – four more Gary Goodman paperbacks!! How to Get Paid Far More that You Are Worth Pre-order today! 77 Best Practices in Negotiation Pre-order today! How To Create Your Own High Paying Job Now available as an eBook…paperback coming Summer 2019! Purchase or pre-order these books at all fine book retailers and online. For the eBook and digital versions, visit Apple (iBook or iTunes), Google Play and all the major digital platforms. "Spiritual Seeker ISO True Happiness" The good news? It's within easy reach. The bad news? It's not what you think, so good luck finding it!